Keep up with what is going on around the world with features about exhibitions in museums and galleries, from the famous to the obsure. Explore opportunities from around the world for artists. 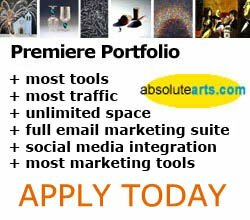 If you want to send press releases or news worthy article for consideration for publication please send all emails to: "artnews@absolutearts.com". 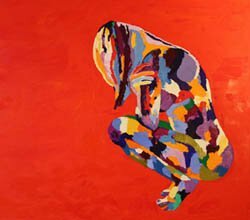 Peruse and comment on relevant art topics broached by artists, collectors, galleries and curators from around the world. Let absolutearts.com keep you up to date with important international arts events delivered via once each week. Don't miss out on new announcements, calls for exhibitions, artist opportunities and much more. It's free - so what are you waiting for? Browse and discover the latest personal exhibitions by our premiere artists. 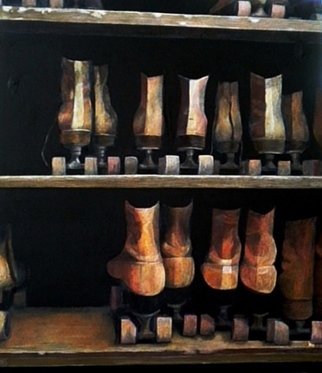 Many artist exhibitions showcase the artist's collection of certain media, styles or time periods. A nice way to discover more or follow an artist's progression. It has never been easier to display dynamically generated arts news on your own site without any work on your part. All you have to do is to make a quick selection of how many stories you want to show and we give you one line of html code. Simply paste a little code into your html page where you want to locate the arts news and we will provide current arts news for you. Discover over 250,000 works of contemporary fine art. Search by artistic medium, art subject matter, price and artistic theme... research over 200,000 artworks by over 22,000 masters in the indepth art history section. Browse through new Art Blogs. Use our advanced artwork search interface. 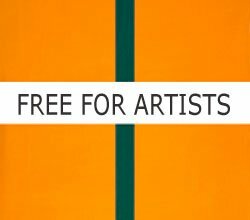 Call for Artists, Premiere Portfolio sign-up for your Free Portfolio or create an Artist Portfolio today and sell your art at the marketplace for contemporary Art! Start a Gallery Site to exclusively showcase your gallery.